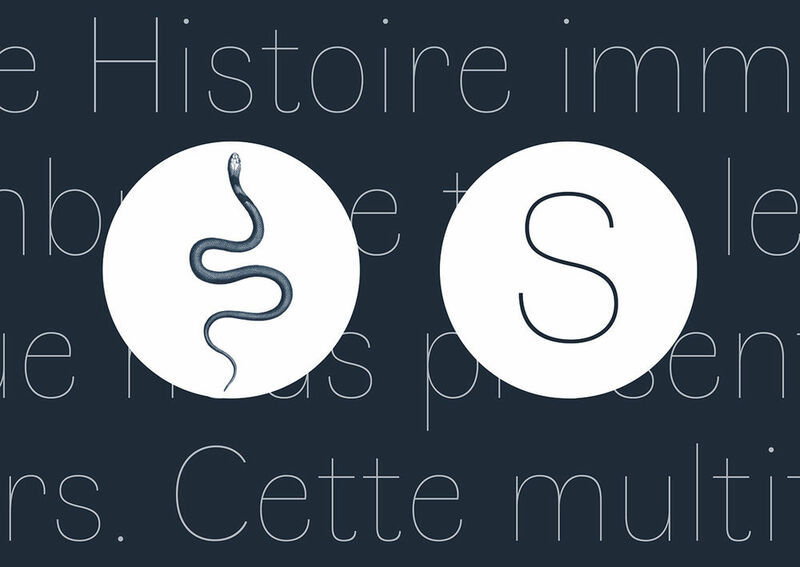 Faune Display italic features a very unusual contrast which is based on a black ibis presented in the Description de l’Égypte. How did the project come about – was there a pitching process? There was indeed. At the end of 2016, the Centre National des Arts Plastiques launched an open call for applications to all independent type designers working in France. This was in fact the second commission of this kind by CNAP – the first one had resulted in the launch of the Infini typeface by Sandrine Nugue back in 2015, which had been a great success. 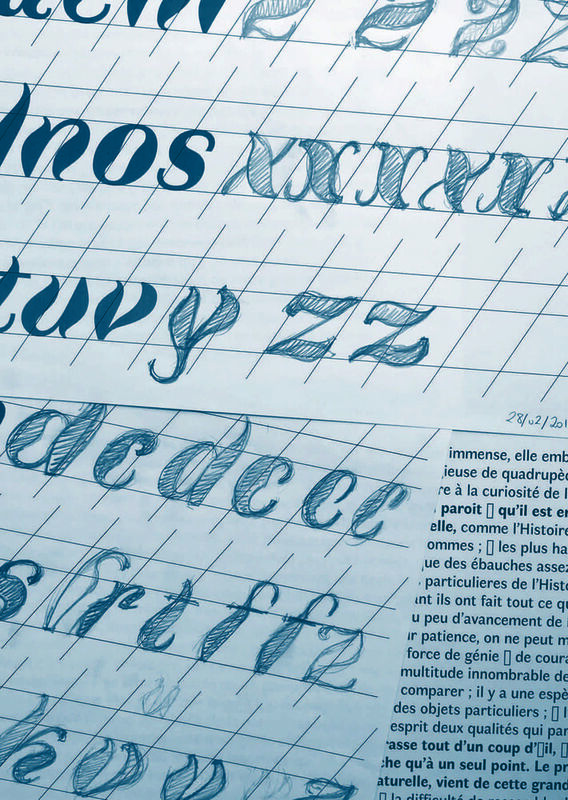 This time, the call for applications was carried out in partnership with the French Imprimerie Nationale, the idea being that the selected designer should design a typeface inspired by the Imprimerie Nationale’s patrimonial collections. Anyone who qualified as an independent type designer could send a portfolio of their work, and from these submissions, three designers were pre-selected: Yoann Minet, Thomas Bouville and myself. The three of us were taken for a visit to the Imprimerie Nationale in Douai, in the north of France, to get to know their amazing collections of metal typefaces and printed material, in order to find some inspiration for our designs. We were then given two months to come up with a project, which we presented in February 2017. I was lucky to be the one selected to carry on developing my project, which became Faune, the typeface family that was released on 30 January 2018. Drawings for the Faune Display italic. What was the brief that was given to you by CNAP, and how much freedom were you given in your interpretation of it? CNAP is a public institution, and one of its roles is to support and promote the work of artists and designers; with this kind of commission and the release of a new typeface family (which is made available for free to everyone), CNAP aims at reaching a wide audience and getting them to better understand the value of typeface design. The brief was very open – CNAP simply asked that the typeface be inspired in one way or another by the collections held at the Imprimerie Nationale. So the starting point had to be historical, however they insisted that the typeface should not be a revival of an existing metal face. It was also important that the proposed typeface should be an original design with a contemporary touch. It also had to be easily usable for text settings, and to have at least three weights (regular, bold and italic). Apart from this, I was left completely free as to how the typeface should look, and what its connection to the Imprimerie Nationale should be. The brief also stated that I could team up with either a writer, an artist or an illustrator to create the accompanying material: mainly a printed specimen, postcards, and a website explaining the idea and the design process behind Faune (the typefaces and specimen are also available for download on the website). This pedagogical aspect of the work is crucial in getting the wider public to understand what type design is about, and how much work goes into it. Examples of plates taken from Description de l’Égypte, which provided the source for the three Display variants of Faune. 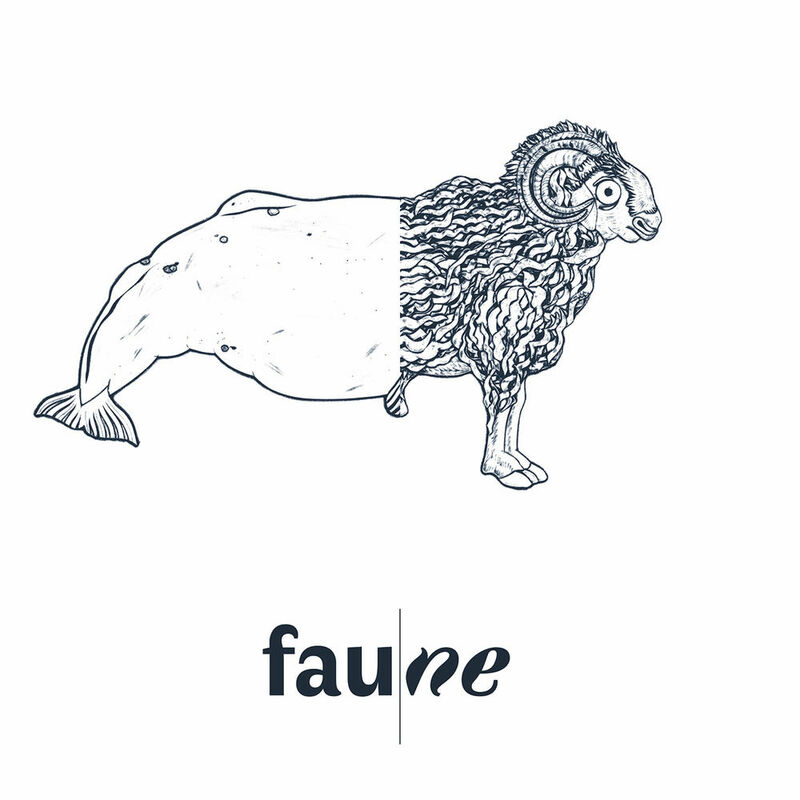 What was your starting point for the design of Faune, and where did you look for inspiration? As mentioned earlier, the inspiration for Faune came from the collections of the Imprimerie Nationale, and from two series of books in particular: Histoire Naturelle by Buffon, and the Description de l’Égypte. 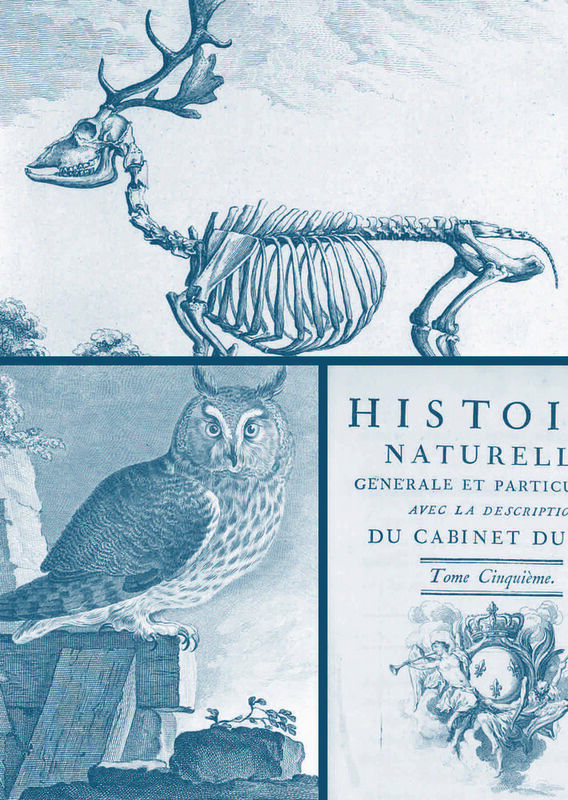 These two works were printed by the Imprimerie Royale and Imprimerie Impériale in the eighteenth and nineteenth centuries and contain some amazing plates of natural history. These engravings echoed some thoughts I had at the time on the notion of filiation and variation in typeface design: what should be the definition of a type family? Simply because it must work as a family, should all variants of a typeface look alike? 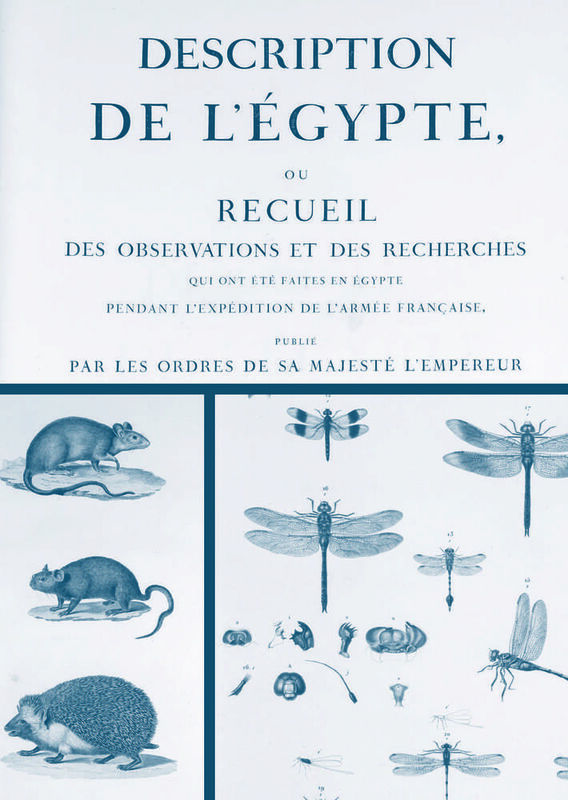 I was struck by the great diversity of animal morphologies that existed in Buffon’s work and the Description de l’Égypte, and by how they related to one another. I therefore decided to use these stunning engravings as the starting point for my project, with the aim of designing a typeface family that would be inspired by this wonderful diversity of shapes. Images from Histoire naturelle by Buffon, one of the two series of books that inspired the design of Faune. 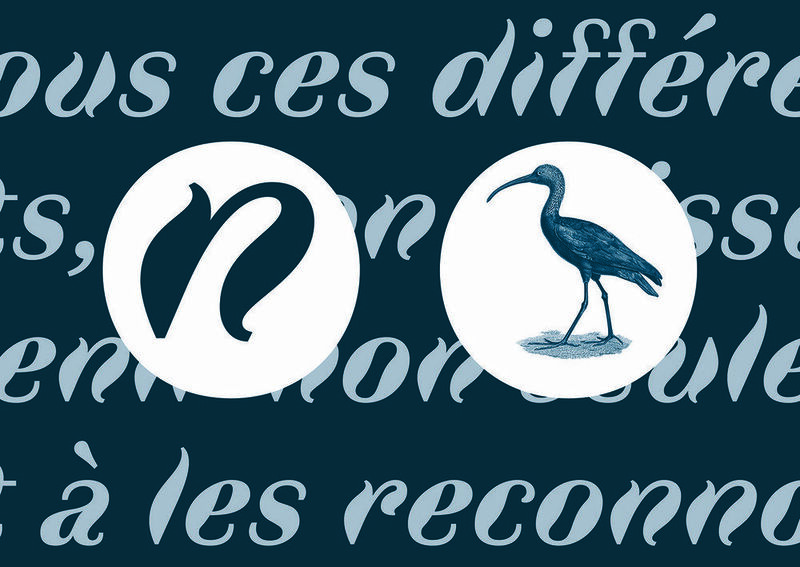 I selected three animals – a reptile, a mammal and a bird – from the plates found in the Description de l’Égypte, which acted as the basis for the three main variants of my typeface: a viper provided the inspiration for a very thin design; a ram gave birth to a very black weight, and an ibis provided the basis for a very unusual italic. My approach was simply to translate some of their features into typographic attributes. Obviously this was a very subjective approach, but it helped me come up with three distinct variants which relate in some interesting ways to the animals they are based on. I suppose the italic is the most obvious illustration of this: the ibis’ atypical distribution of weights, with its thin and tortuous neck, its heavy body and delicate legs, translated into a very unusual italic with a weird contrast that doesn’t follow traditional models, but that is reminiscent of the movement of a flying bird. Once I had designed these three very distinct variants – Thin, Black and Display Italic – I created three “hybrid” versions which were more suitable for text settings: a Regular and a Bold variant, which stand at the crossroads between the Thin and the Black versions. And a Text italic, which is a mix between the Regular weight and the Display italic. Were there any particular technical challenges to overcome within this project? The italic was particularly challenging, because of its unusual contrast. It took a lot of time and many trials for each letter, in order to come up with the right shapes and balance. Drawing each letter by hand was an important part of the work, and really helped me find unusual solutions. From a more technical perspective, I also had to make sure that the three main variants (Thin, Black and Display italic) were “genetically compatible”, i.e. that their outlines had some sort of logical connection in order to generate the hybrid text versions. 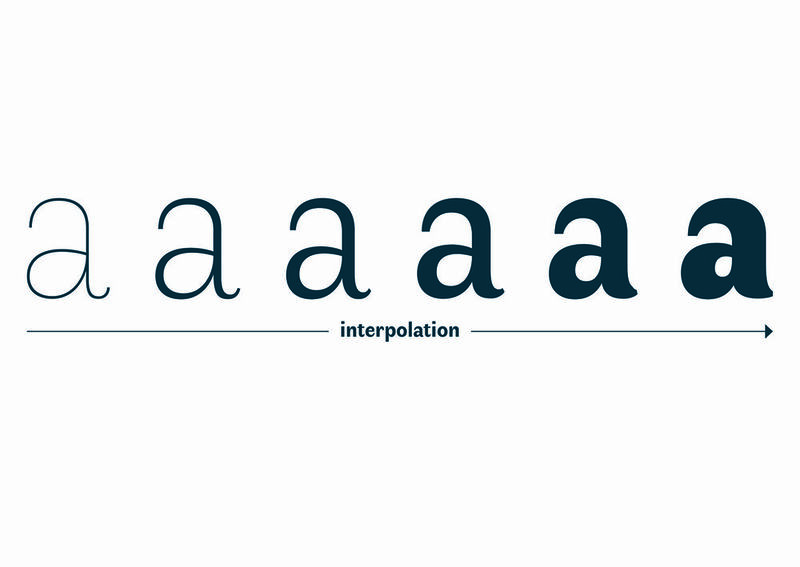 Font editors offer powerful tools these days, which enable designers to interpolate intermediate versions based on extreme styles (enabling one to generate a medium variant that stands halfway between a light and a black for instance). But paradoxically, the result can be that type designers come up with very homogenous shapes across styles, to make sure that they interpolate as smoothly as possible. The idea behind Faune was instead to introduce some varieties in the letter shapes across the different styles of the family, while still making sure that these variations remained technically compatible. Not an easy challenge, but definitely an interesting one! Illustration of the interpolation process between the Thin and the Black variants. How do you hope that Faune will be used? I believe Faune is a rather versatile type family and I hope to see it used in a wide range of contexts. The three display variants (Thin, Black and Display Italic) will probably appeal more to designers and would be interesting to see at large sizes, on posters for instance. But the Text variants have been conceived to be very legible and functional. 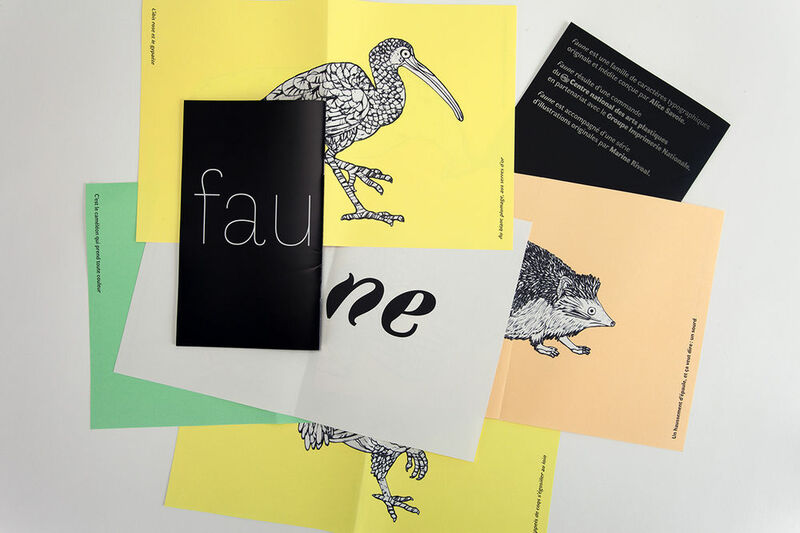 They work very well both in print and on screen – the website we created for Faune with the startup Prototypo is an excellent example of that. So I hope to see the whole family used in a great variety of projects, carried out both by designers and non-specialists. Preview of the Thin version of Faune, which was inspired by the engraving of a viper found in the Description de l’Égypte. As I mentioned earlier, the CNAP brief included the possibility to team up with an artist, writer or illustrator to design all the associated material that would be released alongside the typeface. My source of inspiration for the design were a series of engravings taken from historical works, but since Faune is very much a typeface of its time, I was keen to work with an artist who would imagine a contemporary homage to these natural history plates. I asked illustrator Marine Rivoal to join me on the project, and she imagined this beautiful series of animals which work as a kind of “mix-and-match”, thus echoing the hybridisation process behind the typeface. Marine’s illustrations contribute to communicating the idea behind the typeface in a very appealing and straightforward manner, hopefully making the project – and typeface design at large – more accessible to a non-savvy audience. Some of the illustrations created by Marine Rivoal – here, a whale combined to a ram. Some of the illustrations created by Marine Rivoal – here, a hybridisation between a viper and an ibis. I am currently working on finishing a couple of typefaces that are long overdue and waiting to be released with a new French foundry named 205tf. I am also working on a custom project with a branding agency, about which I cannot say much for the moment unfortunately. This year I would also like to produce Faune as a variable font, since the design has been conceived to work that way, and much progress has been done both by font editors and web browsers in the past few months to support this new, dynamic font format. So, more to come soon hopefully! 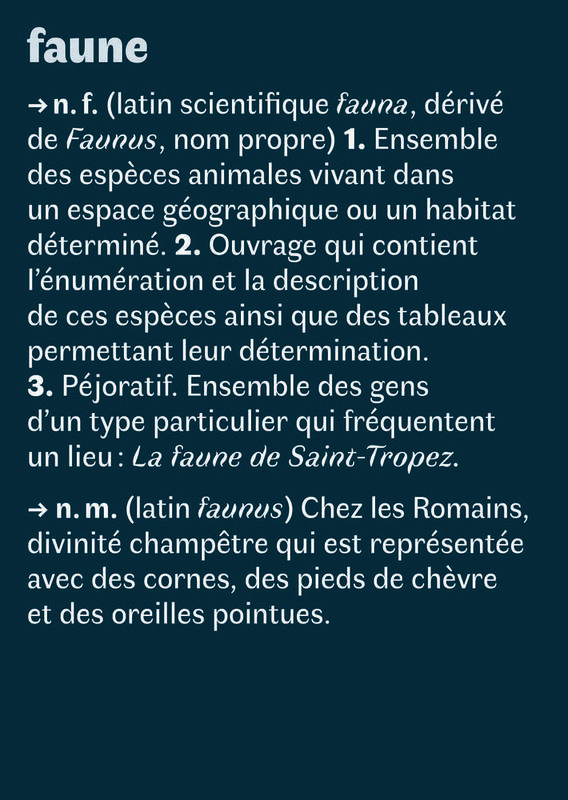 Preview of the printed type specimen for Faune. Illustrations by Marine Rivoal, graphic design and text by Alice Savoie. 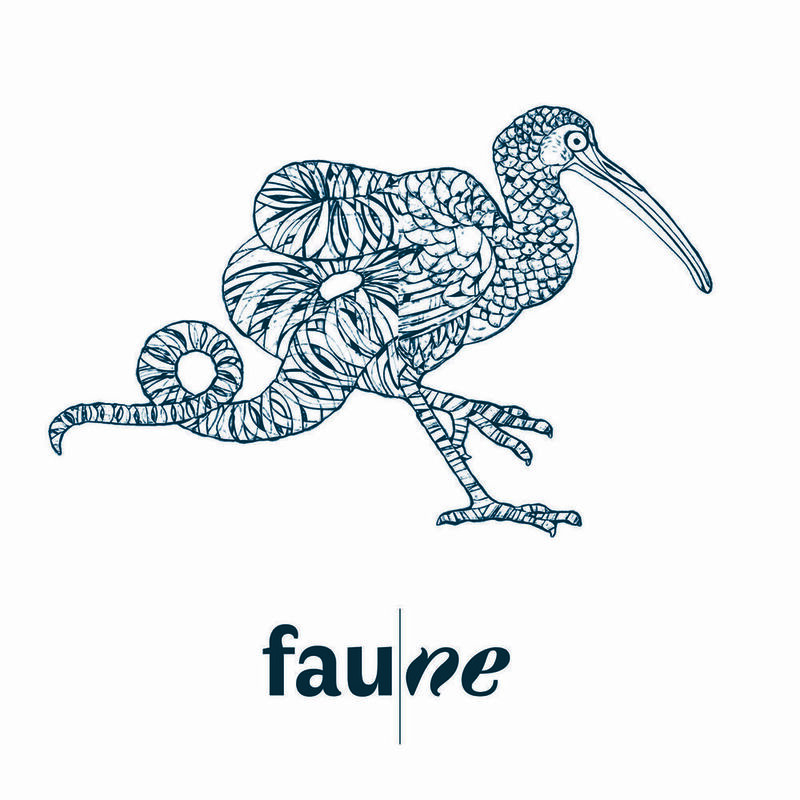 Faune is available to download and explore for free here.